HeartLight X3 Endoscopic Ablation System has received European CE Mark approval for ablation treatment for atrial fibrillation. This Rapid and Accurate Cardiac Ablation procedure has been cleared in Europe. 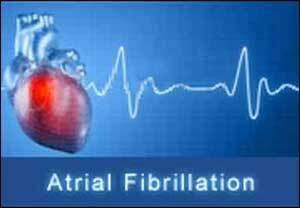 More than 33 million patients worldwide suffer from AFib, the most common type of cardiac rhythm disorder. In Europe alone, it is estimated that the number of patients will rise to 14-17 million by 2030. HeartLight X3 Endoscopic Ablation System is a third generation technology building upon the advanced features of the HeartLight Endoscopic Ablation System, which performs pulmonary vein isolation (PVI) using laser energy to create lines of scar tissue to block the abnormal electrical pathways that cause AFib. Using direct tissue visualization, titratable laser energy, and compliant balloon technology, the HeartLight X3 System’s unique RAPID mode leverages a precise motor control system that enables uninterrupted, high-speed, circumferential lesion creation under the direct control of the physician resulting in consistently reduced procedure times.